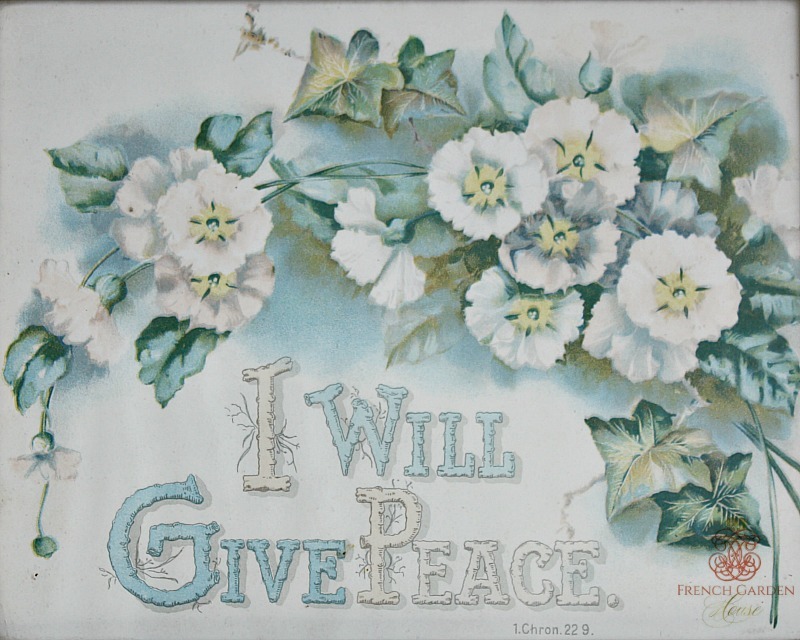 Decorative Antique English Religious Floral Print with a beautiful scripture 1 Chron.22.9 and a lovely spray of pink and light blue flowers tied together with ivy. 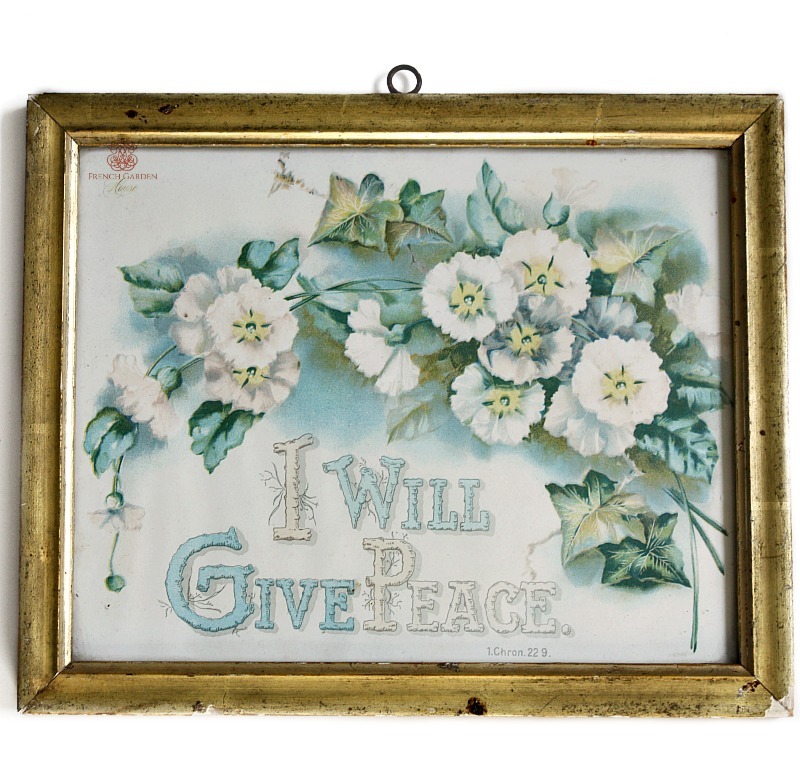 These 19th century motto prints are highly collectable, and so beloved. 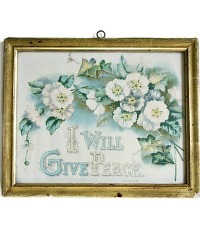 What sweeter way to remind yourself and all in your home of God's Peace? Prints like this were treasured by the faithful, often this had pride of place over the mantel in a cottage. Bought in England, in the original gilded wood frame which has age, wear and the patina of time, it really does show it's over 100 years. A wonderful addition to your collection of Victorian paintings and prints. I have had the back re-papered for you as the original was in tatters. In soft shabby chic colors of pink, light blue, green, aqua, grey and sage brown on a white background. Measures 11" x 9" x 1/2".